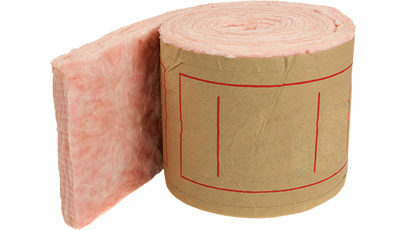 Upgrading your insulation can make your home more energy efficient and comfortable. It can also save you money. If your home was built before 1988 and you have electric heat, upgrading to current standards could reduce your utility bills significantly for years to come. To get the full value from insulation and air sealing, it must be installed properly. Whether you hire a contractor or do the work yourself, it must be placed in the right location and installed without leaving gaps that diminish the performance of the insulation. Properly installed insulation in attics, walls and crawlspaces helps stop cold air drafts, holds heat inside and reduces outside noise. We offer rebates for insulating ceilings, floors, attics, crawlspaces and walls. The rebate amount varies based on property type. See the table below for details. Residential (Owner-Occupied) Property – .80¢/sq. ft. Rental Properties (Up to 4 units) – $1.60/sq. ft. Rental Properties (5+ units) – $1.00 sq. ft. If your home has knob and tube wiring, a “passing report” by a journeyman electrician is required prior to project approval. Contact us or your insulation contractor for more information on knob and tube wiring and inspections. You may be eligible to receive low-income incentives for upgrading insulation. The incentive covers up to $1.60 per square foot in owner-occupied homes, which could cover most of the cost of the upgrade. You must own and live in the home. You must complete and submit a Grant Application complete with supporting documents. The work must be completed by a licensed contractor with an active Trade Ally Agreement with us. Simply fill out the relevant application below, check the box next to the program improvement you want to claim and submit it to us.